Successfully Added Windows 10 Mini PC - Intel Z8300 Quad-Core CPU, 2GB DDR3 RAM, Bluetooth, Intel HD Graphics, 64GB TF Card Slot to your Shopping Cart. The Wintel CX-W8 PRO Windows Mini PC allows you to carry along a powerful computer anywhere you go. Simply attach it to any PC or TV display, and this mini computer lets you browse the web, write up documents, play games, and watch online movies no matter where you’re at. Running on the Windows 10 operating system, this mini PC comes packed with all the latest office features that Windows users are familiar with. Whether you use it for business or entertainment, this Windows mini PC brings along great efficiency and turns any large display into your own personal computer. Within its compact body, this Windows 10 mini PC packs the Intel Z8300 processor that is capable of reaching clock speeds up to 1.84GHz. As an energy efficient processor, this Quad-Core CPU has been designed to deliver a powerful PC performance while using limited power. Additionally, this Windows 10 mini computer also features 2GB of DDR3 RAM that brings along great entertainment and multitasking possibilities. 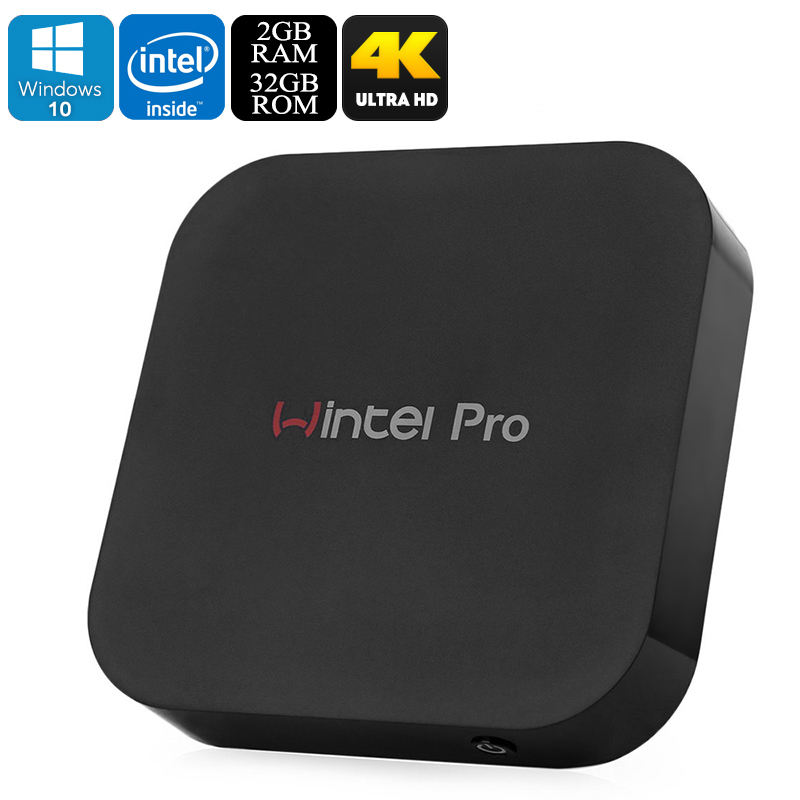 Browse the web, play games, watch movies, or use multiple of its trusted Windows Office tools simultaneously – there is nothing that can slow this powerful mini PC down. Bringing along great efficiency, this Windows mini PC features USB 2.0, USB 3.0, and a Micro USB slot. Additionally, it also supports Bluetooth – allowing you to connect it to wireless speakers and other electronics. No matter what you’ll use it for, with this portable computer at your side, you’ll always be capable of carrying along all your files and media and never have to feel bored again.